Fig. 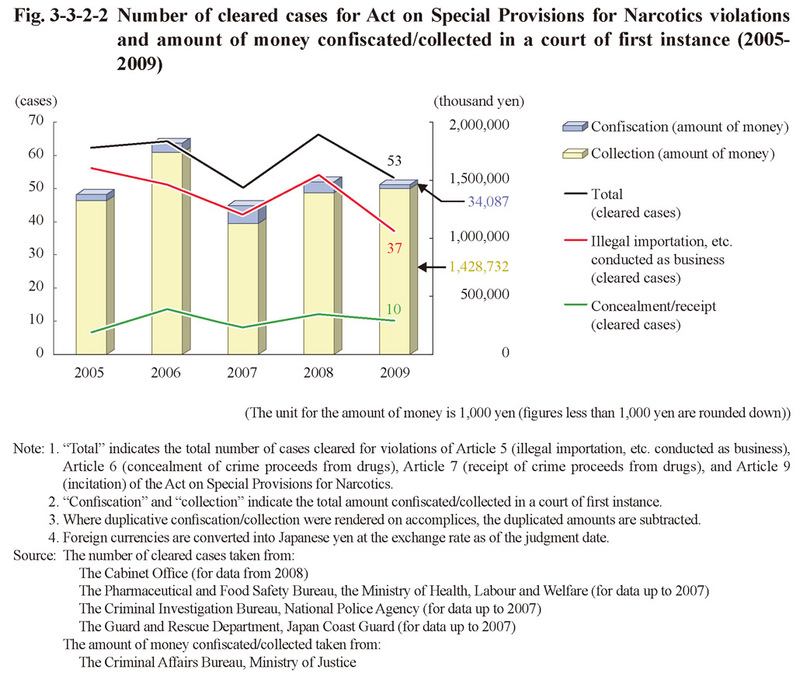 3-3-2-2 shows the number of cleared cases for Act on Special Provisions for Narcotics violations and amount of money confiscated/collected in a court of first instance over the last five years. 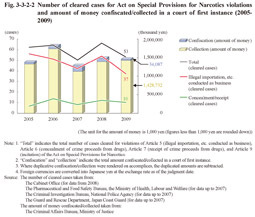 In recent years, the amount confiscated/collected per year as drug crime proceeds, etc. has been in the range of 1 to 2 billion yen.